This episode we reviewed each LigaMX team in the standings. We also discussed the future of El Tri, Mexicans playing in Europe or lack of players in this next generation that are playing in Europe. We talk Pelaez and his influence in the Cement maker’s team. Ep. 125: CantinaMX Futbol Podcast – Chivas gaining confidence prior to Clasico?! The panel brings it, in a discussion of a variety of topics to include Chivas woes, but confidence boost vs Cibao prior to Super Clasico! Other CCL action, possible Chivas vs America final. We also talk a bit of CONCACAF national teams, expansion of Gold Cup, World Cup and does this water down the competition. We give predictions for the Clasico and more! Ep. 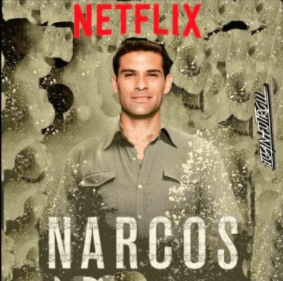 98: CantinaMX Futbol Podcast – Narcos and VeLAFC edition! This episode was bitter sweet. 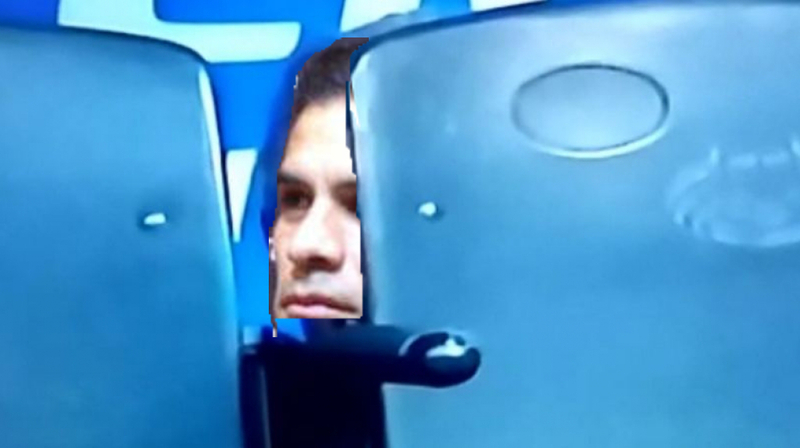 We started the show discussing the Rafa Marquez linking to the drug trafficking business. We purely speculate on what could have happened as Rafa proclaims his innocence. We then discuss the Carlos Vela move to LAFC in 2018. Ramifications for the NT, LigaMX and even MLS. 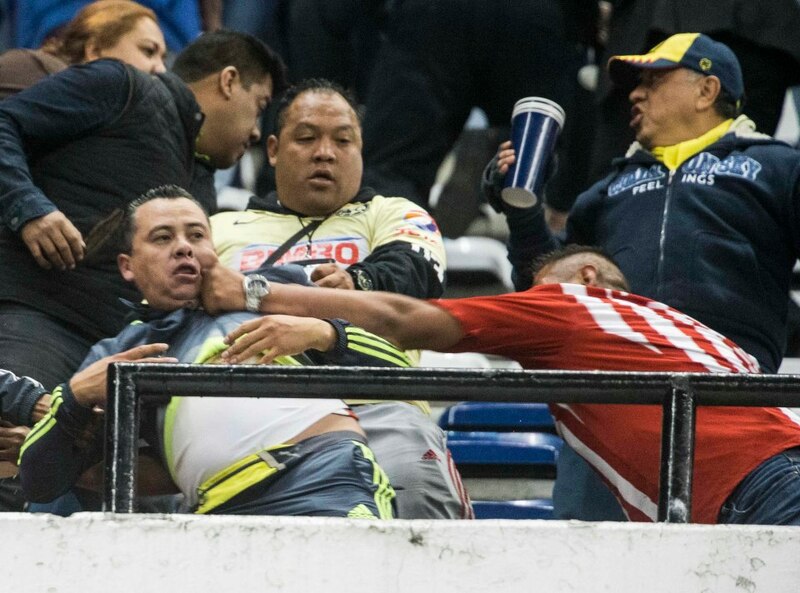 Finally we discuss random topics to include LigaMX, the definition of fanboyism and more! We’re back! In this installment of the Gentlemen’s Agreement, futmexnation contributor Joel Aceves and CantinaMX podcast host John Jagou expose the truth behind the “crises” of certain Liga MX teams, the decision to broadcast LigaMX games in English, and they pay their respects, sort of, to once proud rivalry. John Jagou: Joel, We are now one third of the way into the the Clausura 2017 season. And if I don’t say so myself, we have been pretty spot on with how we expected the tournament to play out. It is almost as if we have been watching Mexican soccer for decades. Joel Aceves: It is as if we are binge watching our favorite Netflix series for the third time. Last week Tigres manager Ricardo Tuca Ferretti talked about being worried for the team’s poor form [four loses out of six games this season], but claimed that this was no reason to claim that the team is in a crisis. The short season lends itself for the media and fans to exaggerate these types of situations. This is especially true for more popular clubs like America. The media is having a field day with their poor form [12th place in the table] even though they are only six points from first place Toluca. As we have seen before anything can happen in 2-3 match days to shake up the league table. JJ: Tigres fans should be ashamed of themselves for even conceiving the #fueratuca hashtag. The coach has elevated Tigres to heights last enjoyed when Tomás Boy, Osvaldo Batocletti and Patrulla Barbadillo roamed the Volcán as players. Not to mention the fact that Tigres had a slow start in the ’16 Apertura. Breaking news… Tigres always has slow starts. When will the fans learn. América is another issue, only because their coach, Ricardo Lavolpe, is a walking, talking train-wreck waiting to happen. It is only a matter of time before the wheels come off. At least Tigres has the excuse of playing poorly vs decent teams. But like you said, the league’s parity allow for little slips that can easily be adjusted with a 2 or 3 game win streak. Joely: Despite the competition created by the short season format with teams being able to finish the season in 8th place and going on to win the league title I still prefer the long season format. I prefer playoff system for Cup tourneys which as has just been announced there will be a joint Liga MX/MLS cup this year. As long as both leagues take the tourney I am all for it. I don’t really care to see how Liga MX bench warmers fair against MLS sides. JJ: It has been nearly 20 years since we have seen long seasons, and most of us don’t know a Liga MX without a post-season. Because of the format, yes, 8 seeds can win, and they have. But not as often as you think. The seeds that have won the most titles have been the #2 and #3 seeds. Which makes sense as we have seen an 8 seed take down the pole-sitter time and time again, making it easier for the next in line to take the crown. The liguilla ain’t going anywhere, but at least it is not a 10-team tournament like it used to be. But 8 is still too many. I would suggest limiting the post season to 6 teams to give the top 2 seeds a 1st round bye. That way rights holders still get 3 weeks of postseason, and the top teams are assured of making the semifinal round. Speaking of rights holders, Univision made quite the announcement. Joely: Yes sir, they will be streaming Liga MX games in English via Facebook. This is something Liga MX should have done years ago. And even Chivas could have tested before doing their failed Chivas TV. So, how do you think this will play out? JJ: This is not the first time Liga MX games have been broadcast in English. A few years ago, ESPN broadcast a handful of Liga MX games when they had acquired the English-language rights for Tri broadcasts. That only lasted a season. I do believe this endeavor will have better staying power. It is a shame, however, that it has to be a broadcast partner, and not Liga MX themselves that proceeded with this venture. For all of their chest-puffing about being one of the world’s top leagues, they have consistently proven to lack the vision and planning to move the league forward in this 21st Century. Their website is half completed and, frankly, a mess. Their twitter presence, to be fair, does an excellent job of posting goals as they happen. Joely: It also shows how divided the Liga MX club owners are. The Televisa and TV Azteca duopoly that existed for many years seems to have drawn a line in the sand a line that will now be divided with the expansion of two more open broadcast television stations. Clubs should now be getting more money but also it can and should lead to a shake up within the Mexican Football Federation. It is now more independently run as opposed to being a puppet to the big two television stations. The next years should be interesting as FMF will most likely begin to get restructured. By 2022 we can be seeing a whole new management in both league and national team. JJ: The underlying issue is that the clubs negotiate their own broadcast rights. But for years they had to put up with the scraps from what they got from the duopoly who would, in turn, broadcast games locally on a pay channel. And since there was no centralized power to combat this, the teams (more importantly, the fans) just had to sit there and take it. Now that Liga MX is separate from FMF, the next logical step is to negotiate broadcast and digital rights collectively. I am pretty sure they can do better than the $120 MM per year that was mentioned in the Guardian Article. That averages to 6.7 MM per team. A collective contract can also set broadcast windows, but there is no reason a team has to play in the same one every other week. I would like to see a Friday night window, 3 Saturday windows, 2 Sunday windows, and, wait for it… a Monday Night window. Joely: Monday Night Futbol would be just as big as the Liga MX Apertura 2016 Christmas final. It would also expose more viewers to less popular clubs. All of these proposals could be feasible in the next years. It just remains to be seen if the club owners can work together for the greater good. If they can have a Gentleman’s Agreement over player transfers, then I’m sure they will have another one over League and national team rights. JJ: National team rights also look to be released from the steely clutches of the duopoly after 2018. Perhaps the revenue generated from those rights fees will enlighten the owners. The National team just finished playing another Molero in Las Vegas. Was it an exercise to find a Gold Cup squad or was Osorio looking for wrinkles to add for the upcoming qualifiers? Joely: Friendly games played on non-FIFA match days allow the coach to work with players that they normally wouldn’t get this kind of attention. It is the main reason why I don’t place too much emphasis on collective game play. This, however, doesn’t stop the media from being over critical on the team’s performance. Some of the players were coming from playing 2-3 games as is the case with the Chivistas who had a Boca Jrs friendly sandwiched between Copa MX and League play. Others like Giovani Dos Santos are in pre-season form. Still, having this opportunity to test players helps Mexico in the long run as the coach has a good idea on what players are up to the task. JJ: I could not agree more. It was all about individual performance. Was Gio rusty? Oh yeah, but he still served Alan Pulido for a perfect cross that led to the lone goal. The player that I believe is making a push to be considered in the starting XI vs Costa Rica is Orbelin Pineda. The Chivas youngster has been superb wearing stripes and green over the past six months. He might be the best Mexican on the planet right now. The lack of scoring from the goal generators was a little disquieting heading into Hex.3, but Carlos Vela, Tecatito, and Chicharito all appear to be catching fire at the right time. Hernandez was the most worrisome, but it looks like he had some extra motivation. Joely: Cheech definitely regained his mojo: scoring on and off the field. He now has three goals in two games with Leverkusen and will be celebrating this Valentines with Thalia’s niece Camila Sodi, who used to be married to Rogue One’s Cassian Andor! The timing for Mexican strikers to step up their game couldn’t have been better. They should all be in peak form for when the Hexagonal resumes in March. 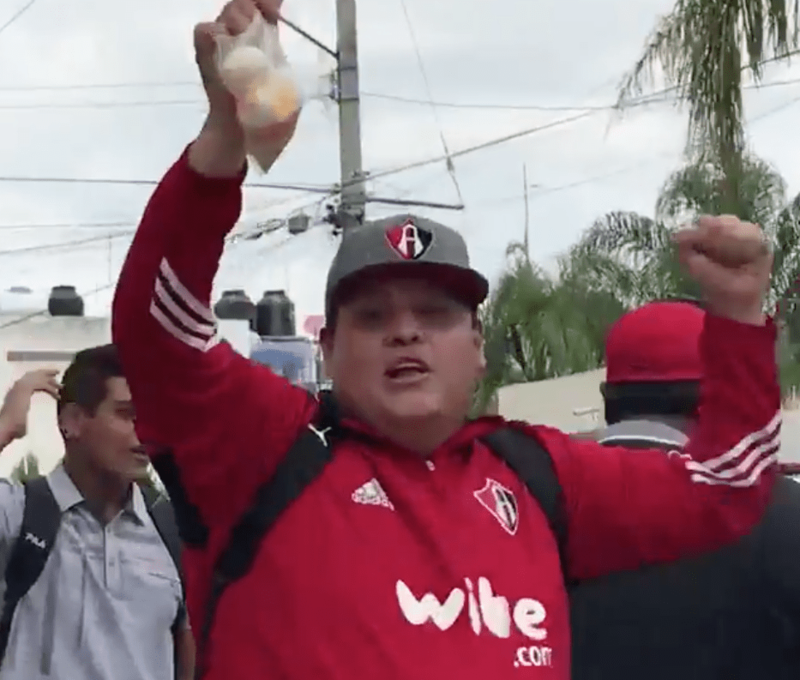 JJ: Overall it was a good weekend for Chivas fans: their favorite son scored a brace with two excellent volleys, and later that day, the sacred herd reminded Atlas that Mariachis sing about Guadalajara, not académicos. If I were an Atlas fan…. I should just stop right there. Since they won’t be winning any championships any time soon, the only possibility of any kind of bragging rights that Atlas fans have is winning the Tapatio. And they can’t even do that right. Things will get worse for Atlas before they get better. They will be mired in the relegation muck next season. The new bosses have proven the only thing they can do is pay the players on time. Atlas is, has been, and always will be a mess. They are the Clippers and Jets rolled in to one sad, sad, team. As a Chivas fan, I can’t even think that this game is even on your radar. Joely: Absolutely Yon, if I were Chiva management I would have already released a statement claiming that Chivas no longer considers Atlas rivals and therefore are nullifying the Clasico Tapatio. Chivas can just wait around for Tecos or Leones Negros if they want a derby. Good thing they have worthy rivals in America. Despite the Aguilas poor form I wouldn’t count them out for this weeks Super Clasico. A win here would do much to get them out of the ‘Crisis’ they are in. Chiva are favorites but I would be feeling better if the match was at Azteca. My one complaint with the Goat-in-Chief Matias Almeyda is that the team doesn’t have a strong home field advantage. Even in games where the team gets penalty kicks and plays up a man they fail to win. I’m predicting a draw here. JJ: It is a shame that Guadalajara cannot turn their home stadium into a Citadel. And I am still dumbfounded that Chivas fans waste the chance to sing the most iconic Mexican song when things are going their way. Instead they cheer ole ole ole chivas chivas. Pathetic!! I am liking the way Chivas is playing, but America needs a win. It should be a good one. We might have to have a live gentlemen’s chat during the match. And we will definitely dissect, blame, praise and ridicule next week. Joely: Sounds like a plan Yon! Catch John and Joel every Wednesday on the CantinaMX Podcast live on youtube at 9pm CT, or on itunes. Ep. 31: Dos a Zero Futbol Podcast – Rafa’s comments, Osorio to Colombia y mas! Hello fans. We are back with a Rafa packed podcast, analyzing and discussing the latest comments made by Rafa during a press conference. We have back and forth discussion on wether he was out of line or not. Rafa stated that there is no comparison between Clasicos in Spain/France vs Guadalajara. We take this discussion into the “yo estoy en Europa y tu no” topic. Is Rafa an arrogant fresa, belittling Mexico and Guadalajara, or is he justified by his salty opinion?